Fresh from the farm is what it's all about! Sarasota County Schools Food and Nutrition Services partnered with the Florida Department of Agriculture and Consumer Services, Division of Food, Nutrition and Wellness to host a featured event at McIntosh Middle School. Some of the farmers who produced the food being served attended the event and were recognized as special guests. The farmers visited with the students, talked to them about the importance of agriculture in Florida and answered questions specifically related to their industry. 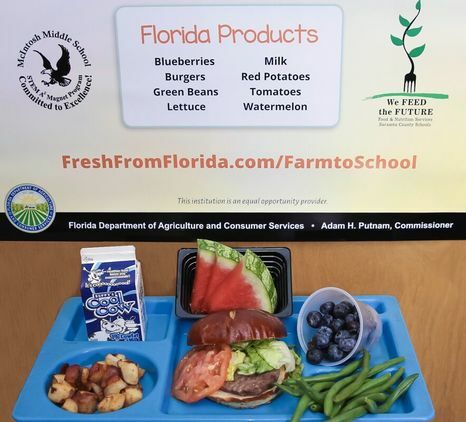 The Florida Department of Agriculture and Consumer Services assisted the school district with promotional items such as banners, flyers, social media posts, and created farmer trading cards for the students. These trading cards included statistics about each farmer, including how many acres the farm has, how long the farmer has been farming, what their favorite fruit or vegetable is and more. Schools who want to replicate My “Fresh From Florida” Plate Day are encouraged to review the Fresh From Florida Event Guide and contact the Division of Food, Nutrition and Wellness for more information. The division can provide assistance with planning, promoting, and executing your My “Fresh From Florida” Plate Day event. The FY2018 Farm to School Grant Request for Applications is Available! Completed applications must be submitted on grants.gov by 11:59pm ET on December 8, 2017. Stay tuned to the E-letter for additional applicant resources and late-breaking updates! 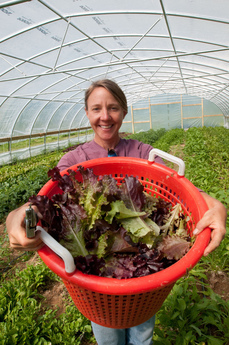 This seminar/webinar is part of a wider effort to promote the recently published report, Harvesting Opportunity: The Power of Regional Food System Investments to Transform Communities – a collaborative effort by the Federal Reserve System and USDA to highlight food systems investment opportunities across the U.S. 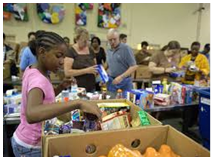 The Community Food Projects Competitive Grant Program funds projects designed to meet the needs of low-income individuals and increase community self-reliance concerning food and nutrition. 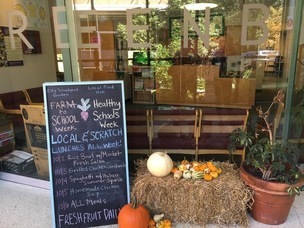 Funding is also designed to meet specific state, local, or neighborhood food and agricultural needs, including needs relating to equipment, planning for long-term solutions, and/or marketing. Applications due December 4, 2017! KidsGardening awards funding and gardening supplies to schools and community organizations with youth-centered garden programs. 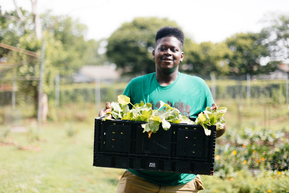 Any nonprofit, school, or youth program planning a new garden project or expanding an established one that serves at least 15 youth between the ages of 3-18 is eligible to apply. Award packages include seeds, tools, gardening supplies, gift certificates, and curriculum materials. Visit KidsGardening for details on prize packages. Applications due December 8, 2017! 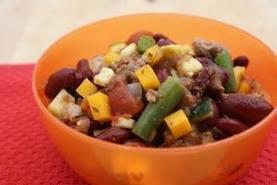 Want more recipes? Click the learn more button below! A lot has been going on in Charlottesville, Virginia. In the midst of it all, youth are growing gardens at their neighborhood schools dotted around the city. Awarded a USDA Farm to School grant in 2015, City Schoolyard Garden is working with Charlottesville City Schools, Local Food Hub and other partners to implement a Harvest of the Month program and daily garden engagement for the 4,200 youth in their school district. This week, the City of Charlottesville collaborated, naming the first week in October Charlottesville Farm to School & Healthy Schools Week. Packed with garden activities, visits from local farm animals and from scratch meals made with local foods on each day’s menu, the week was exciting. 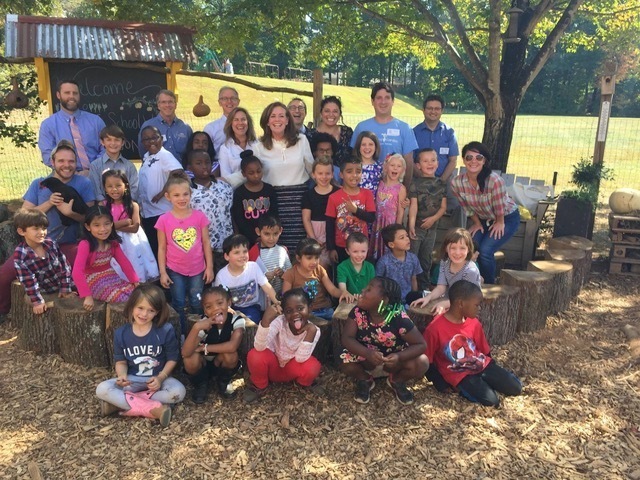 To top it off, First Lady of Virginia Dorothy McAuliffe, a strong local food and farm to school advocate, visited Johnson Elementary City Schoolyard Garden. She had homemade chicken noodle soup with students, hung out with the chickens in the garden, helped to sift compost and received a CSG Golden Trowel Award for her healthy foods advocacy. To learn more, check out their Facebook page! Learn more at http://www.fns.usda.gov/farmtoschool or contact us at farmtoschool@fns.usda.gov. Not yet subscribed to The Dirt? Join us by clicking here. This service is provided to you at no charge by the USDA Food and Nutrition Service.